AS9100 Revision C - Western Filament, Inc.
Western Filament receives certification to AS9100 Rev C.
Grand Junction, Colorado, April 3, 2012: Western Filament today announced that its QMS has successfully passed the annual audit for certification to ISO 9001:2008 and AS9100:2009, revision C. The certification is widely used within the aerospace industry as a benchmark of measuring companies’ quality systems and how they affect the products that they produce. 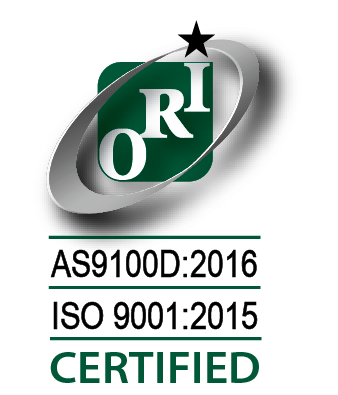 Western Filament’s QMS has maintained ISO 9001 certification since 2001 when the company recognized the importance of becoming certified. AS9100 certification was achieved in 2007 as the new aerospace standard was becoming more widely used within their industries. “I am constantly reminded of the level of quality that we produce here at Western Filament,” stated President, Rex Nelson. “Our customers demand the best and our team has proven again that they are up for the challenge of providing the level of quality that is to be expected by our customers. Quality is one of the most important aspects of any product produced…others can always take away business based upon price but at the end of the day, if the quality is not good, the consumer of the product will find a more reliable source”. “To achieve certification to AS9100 Revision C is a huge milestone in our organization which will benefit not only our customers with a very reliable, high quality product, but also benefit our organization through enhanced quality systems. The hard work and determination set forth by every person at Western Filament has enabled us to achieve these standards not commonly seen within our industry,” added Quality Assurance Manager, Candice Paumen. Western Filament is a leading supplier of wire harnessing materials for the aerospace industry. Western Filament also manufactures high performance products for use in many other applications including lacing tapes, over-braided high temperature wire harness materials, and expandable sleevings. For more information regarding Western Filament products, please visit our web site at www.wfilament.com or contact Western Filament’s corporate office at 970-241-8780.